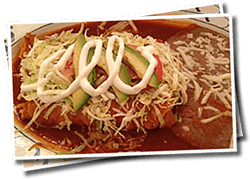 Las Delicias Mexican Bar and Grill has been serving authentic and affordable Mexican food as a family-owned and locally-operated restaurant since 2003. Voted Best Mexican restaurant by several local publications, Las Delicias takes Mexican food to a whole new level. The recipes and traditions come directly from Mexico thanks to owners, Leila and Antonio Martinez. So come see us and experience genuine authentic Mexican food that we can assure you is different from anything you have ever had. Our Guacamole is Made Fresh Every Day! Our Guacamole is made fresh to order with chunks of avocado, chopped tomatoes, jalapeños, onions, cilantro and freshly squeezed lime juice. We serve it with our homemade chips made right here in Memphis in our own kitchen. Come in today . . . it's sure to be your new favorite! Voted No. 1 Mexican Restaurant in The Memphis Flyer!